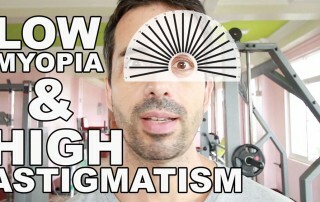 Diopter Ratio: The percentage difference between your left and right eye spherical diopter values. 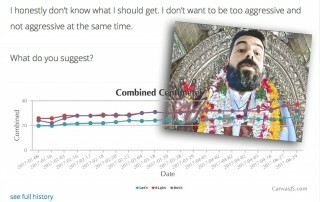 People sometimes refer to it as weak eye and strong eye, although I prefer not to use those terms – it is entirely normal biology for one of your eyes to be dominant (ocular dominance). 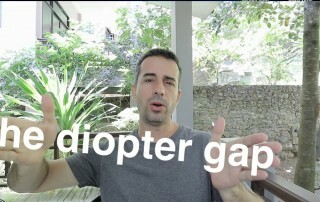 We also talk about diopter ratio and ocular dominance here in the blog. Here, here, and here. If you’re not familiar with ocular dominance and the basics on when and how to address it, above posts are a good starting point. 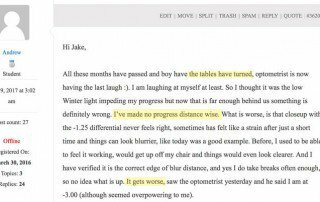 Within the structured approach of BackTo20/20 you get sessions suggesting the appropriate times and activities (patching) to gradually lower the diopter ratio. 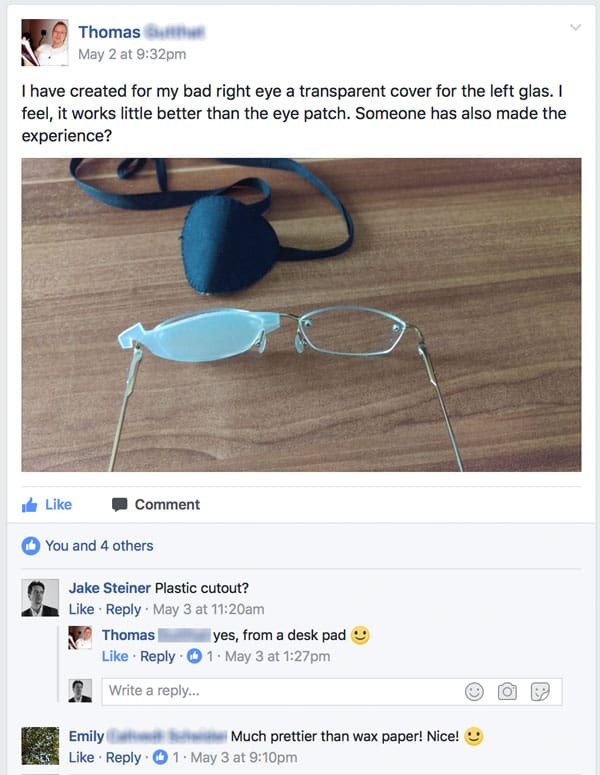 For those who follow the DIY approach, be sure not to get into single eye specific activities until well into multiple successful binocular diopter reductions. 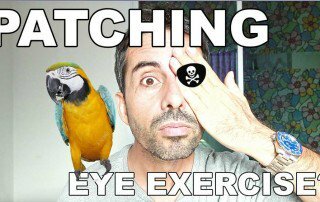 Patching: Covering one eye (dominant eye) to get active focus practice for the lower centimeter / higher diopter eye exclusively. Very little of this is necessary in the scheme of things, to reduce diopter ratio. Various other Internet sources recommend a lot of patching which is not great advice. 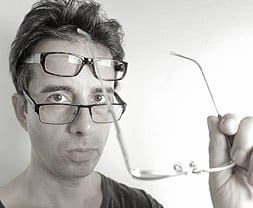 Remember that most of your vision improvement comes from habits – and putting a patch over your eye isn’t exactly a habit friendly activity. I found over the years that there’s also no additional benefit to doing a lot of patching. A little definitely goes a long way. That covered, let’s get to the main topic here. What kind of patch do you want to use? There are lots of ways to accomplish the simple task of not looking through one of your eyes for 15 minutes, or so. No need to get all fancy. The best thing about this type of patch is, not using it. Seriously, when would this sort of patch be a nice and easy habit, besides Halloween or if you happen to own some sort of large sailing vessel? Of course if it happens to be Halloween or you are a ship captain, by all means. 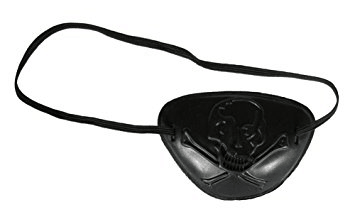 For the rest of us, no giant black pirate patch. There are all sorts of variations on this one. Good idea, but I just don’t see a lot of you rushing to put this on, while sitting in your open floor plan office. It’s out there though, if that’s your thing. One of the things I recommend is using patches that diffuse light, rather than block it. It’s a lot less jarring than completely occluding one eye and your visual acuity tends to also be better when you get ambient light with boys eyes while patching. I don’t have a picture of one here, though this is easy enough to do. Wax paper is something a lot of students use. You can buy it at any convenience store (baking section). Cut out in the shape of the lens, stick it over the lens, done. You can pull this one off at the office even, and not have your co-workers alert security. Cut out from the plastic cover of a translucent desk pad. 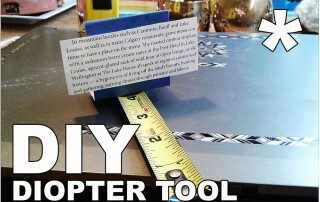 Very nice idea! Thomas even cut little hooks in it to make it easy to put on and take off. Much less messy than dealing with wax paper, and far more reusable as well. 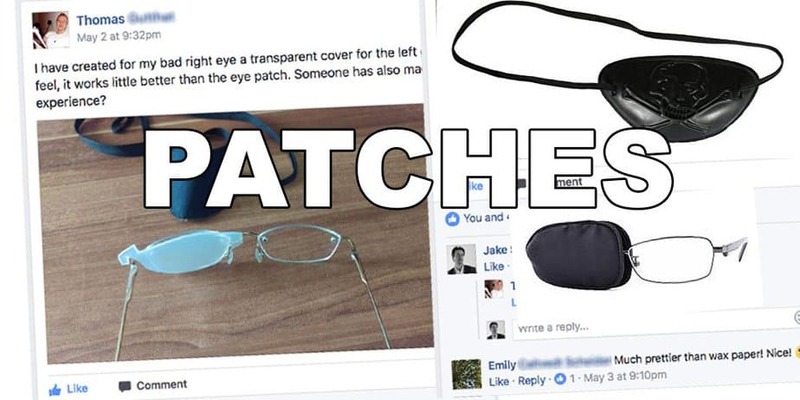 It won’t do much for pirate-street-cred but for some easy DIY patching it’s perfect. 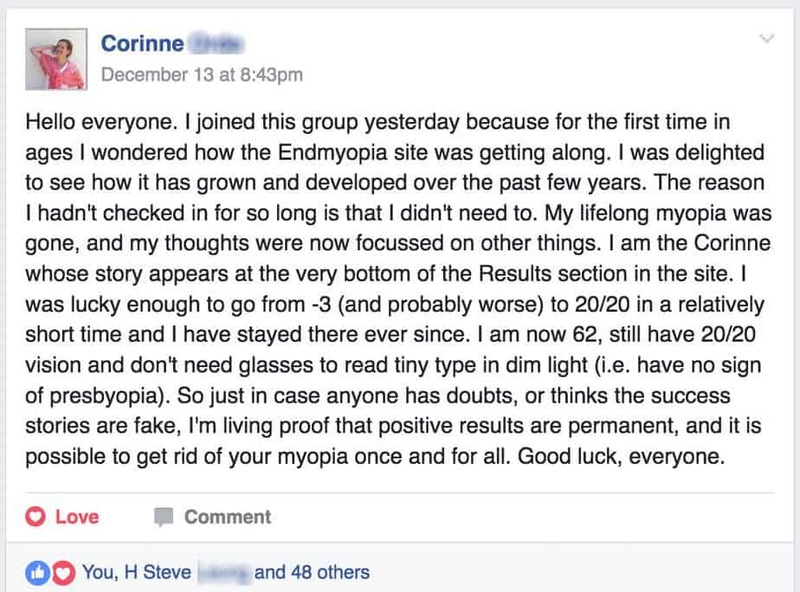 As always, endmyopia as a resource is very much a result of community insights. Remember to share your experiences – drop me an e-mail anytime, or post in our darling Facebook group.